Hello fellow adventurers! 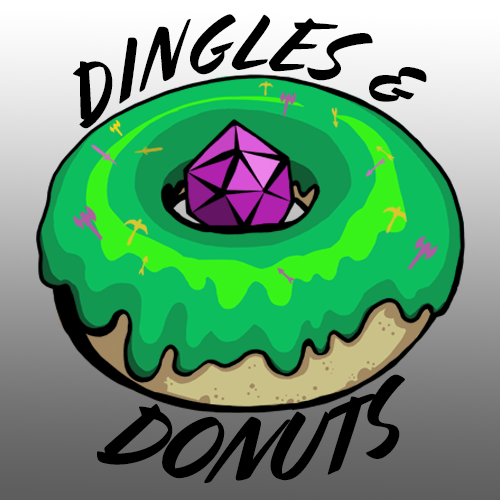 Welcome to Dingles & Donuts, the weekly Dungeons and Dragons "Real-Play" podcast. After making a deal with Krik to release the men of Norton, the gang has to uphold their end of the bargain by helping access a closed off mine shaft, and that's the Peter Panda Dance. Episode 20 - Our Dragon Man is a Trash Talking Psychopath; And We're Not Having it! Follow Along with the Dingles!